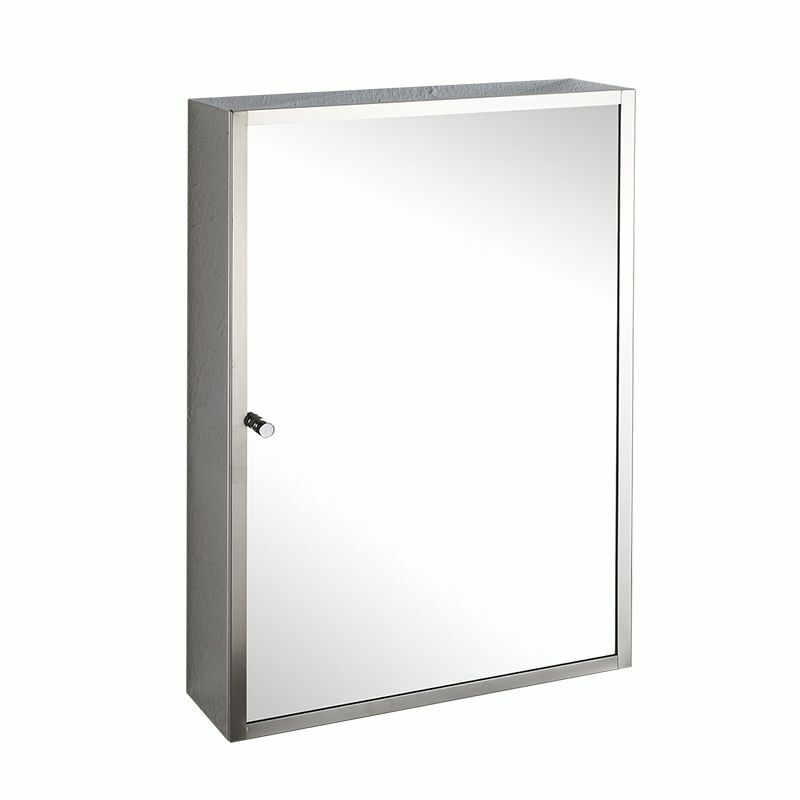 Single Metal Framed Mirrored glass door. 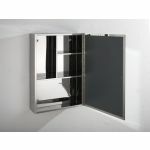 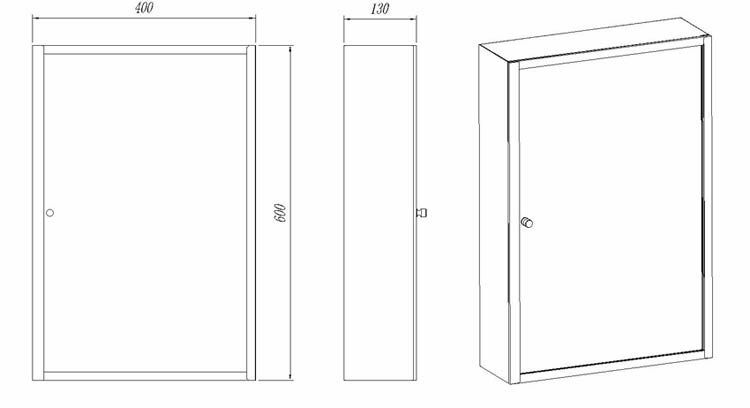 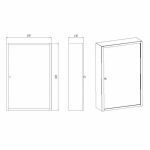 Slimline cabinet, ideal for small spaces. 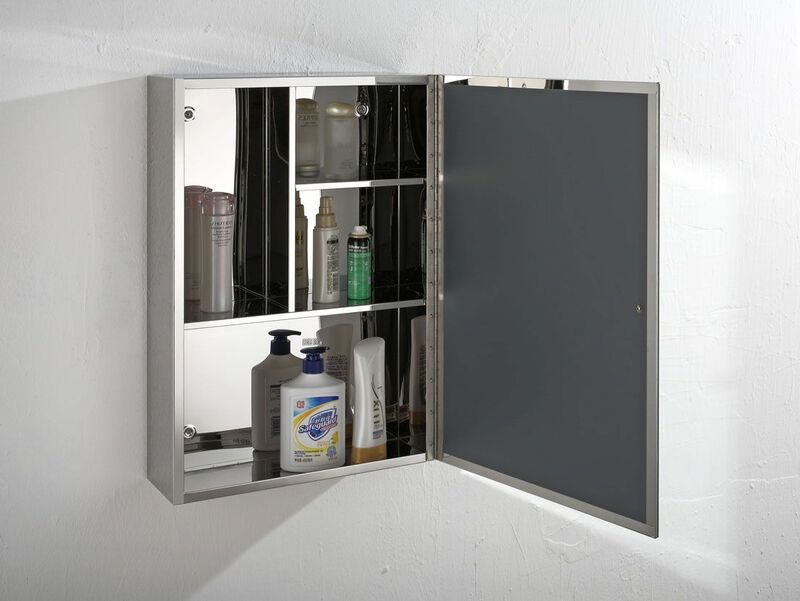 Multiple fixed internal stainless steel shelves. 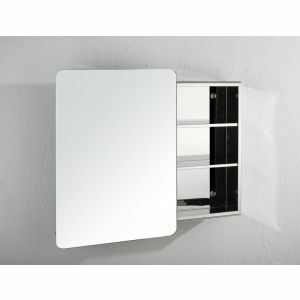 Top Quality storage at a reasonable price - with Free Delivery thrown in...What more could you ask for. 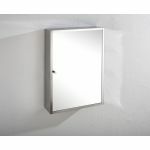 This hand Crafted 40cm Wide wall mounted bathroom cabinet has a generous 60cm height, matched up with internal full and half width shelves give many solutions to any bathroom storage problems you may have. 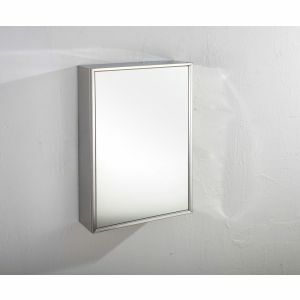 A front mounted chrome knob and right hand hinges complete the look. 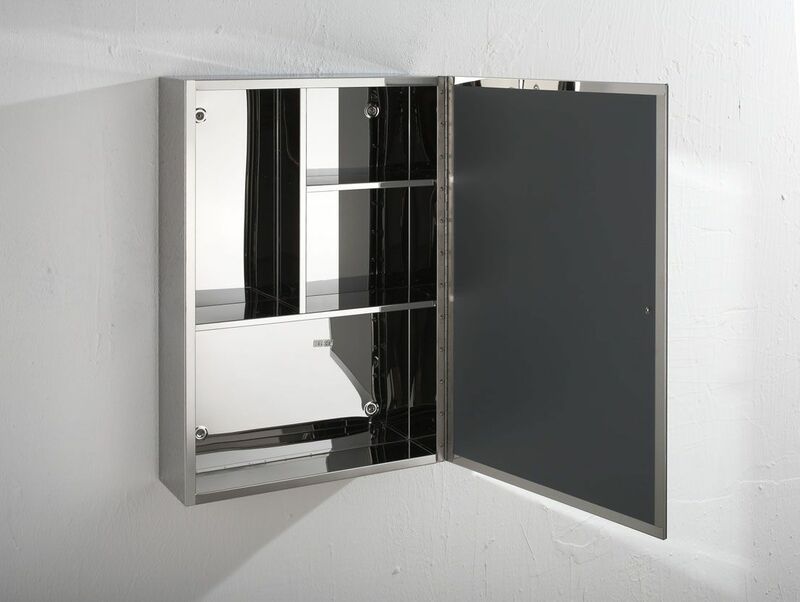 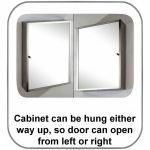 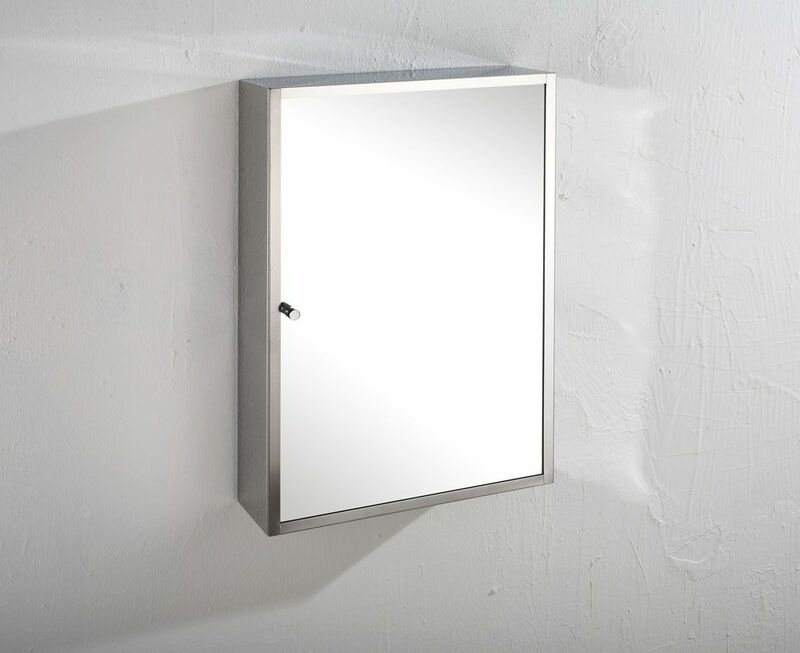 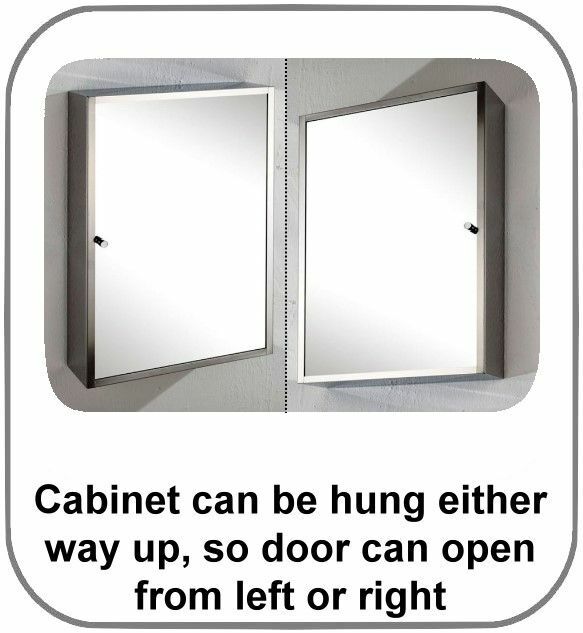 Made from the highest grade stainless steel, the cabinet comes ready assembled, with wall fixings to allow simple installation. 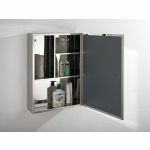 Once put up, all that is left is to fill it up with shower gels, toothpastes, shaving creams or all the other bathroom toiletries a family or person needs.